The Ontario Amateur Wrestling Association was incorporated as a non-profit organization in 1979, but has existed as an Association since 1945. Prior to 1945, the organization was part of the Amateur Athletic Union (A.A.U. ), an umbrella organization for several different sports. As the Ontario Provincial Body for Amateur Wrestling in Ontario, the Ontario Amateur Wrestling Association is a member of the Canadian Amateur Wrestling Association (CAWA) and through CAWA a member of the Federation Internationale du Lutte Amateur (FILA) the National and International bodies respectively for Amateur Wrestling. The Ontario Amateur Wrestling Association is recognized by the Government of Ontario, through the Ontario Ministry of Citizenship, Culture, and Recreation (MCCR). The Ministry provides funding to a limited number of Provincial Sport Organizations who meet minimum criteria for support as set out by the Government. The OAWA has had a rich history of developing young men for life through experiences gained in amateur sport. More recently, the sport of wrestling has also been breaking down barriers to offer an amateur sport experience to young women. In fact, Women's Wrestling has been one of the strongest growth sports in Ontario in the 1990's, growing from a handful of participants at the start of the decade, into a medium sized sport with well over 1,000 participants province-wide as we enter the new millennium. Through the initiative of the OAWA and its member supporters, the sport of Women's Wrestling has grown in recognition as a sport not only Provincially as part of the OAWA program, but has also been formally recognized by OFSAA, the OUA, and the CIAU all of which now offer full Championship events for Women. Ontario is very proud of its heritage of high level accomplishments in the sport of Amateur Wrestling. Ontario athletes made up 50% of the entire Canadian Olympic Wrestling Team to the 1996 Olympics in Atlanta. Further, 3/4 of the Coaching staff for that Team were from Ontario. Ontario Officials lead the way in Canada representing over 40% of the total number of Canadian accredited Amateur Wrestling Officials. In fact, recent statistics show that Ontario boasts more internationally accredited Amateur Wrestling Officials than 65 of the countries which are members of the International Federation, FILA! The Ontario Amateur Wrestling Association continues is a leader in the sport of Amateur Wrestling, both on and off the mat. In addition to athlete/coach/official development programs, the Association leads by example in areas of sport safety, ethics of sport, research on Amateur Wrestling and so on. 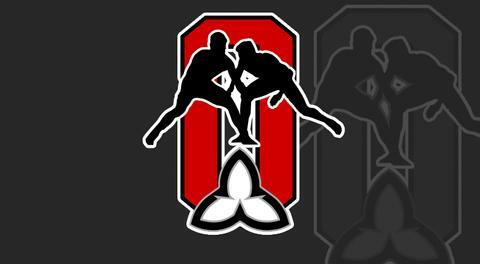 As you will see through the outline of programs of the Ontario Amateur Wrestling Association, the OAWA is a growing, dynamic organization with its sights on the future!